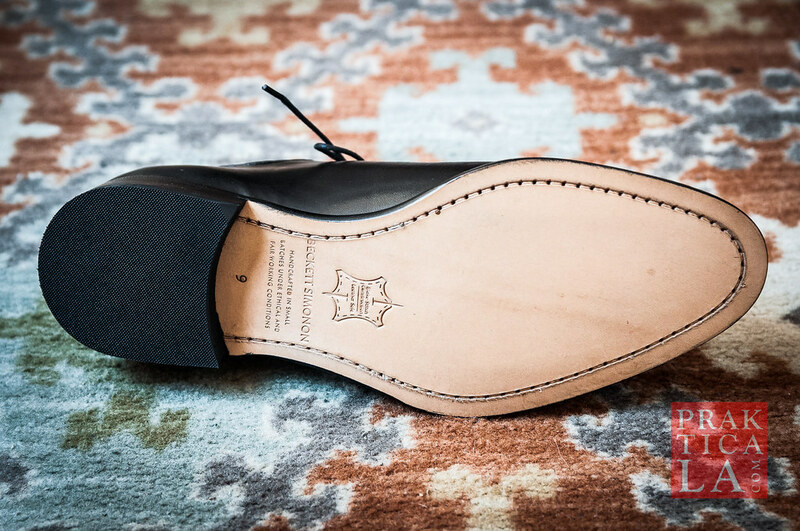 Wholecuts stand out from other dress shoes in that uppers are constructed from a single piece of leather, rather than several smaller pieces stitched together. You’ll find only one seam, on the back of the heel. Because of their smooth and elegant appearance, wholecuts work best with formal outfits and events. Conversely, brogues, for example, with their cap-toes and decorative patterns, can be dressed down for more casual settings. They were also kind enough to include some cedar shoe trees, which you can purchase separately. 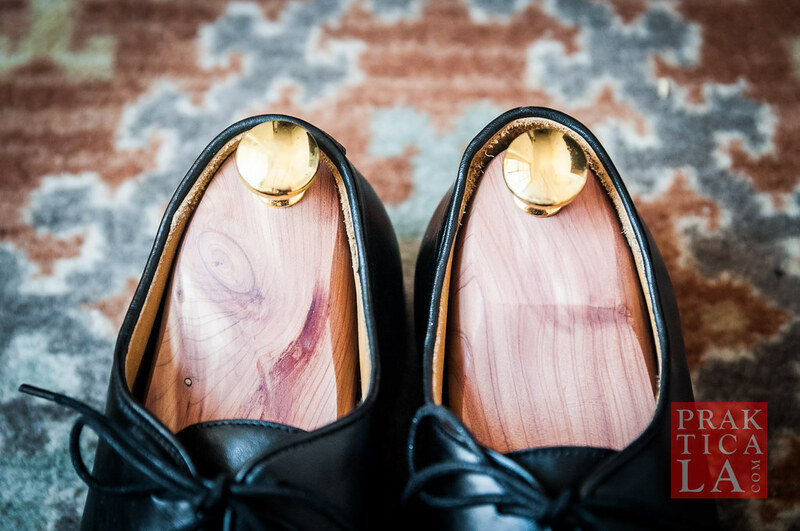 Shoe trees are essential for preserving the condition of your shoes, keeping out moisture and odors which would otherwise contribute to the breakdown of the shoes’ materials over time. They also help shoes retain their shape. 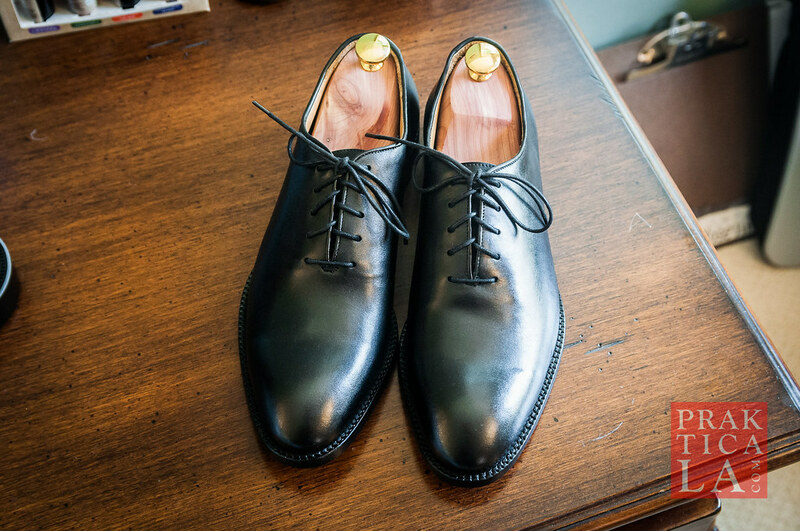 It’s a good idea to keep a pair of shoe trees in all of your dress shoes. Or, if you’re like me, at least have a rotation going if you don’t have enough of them. Your shoes will stay fresh and look great for years to come. Plus, cedar wood smells fantastic! 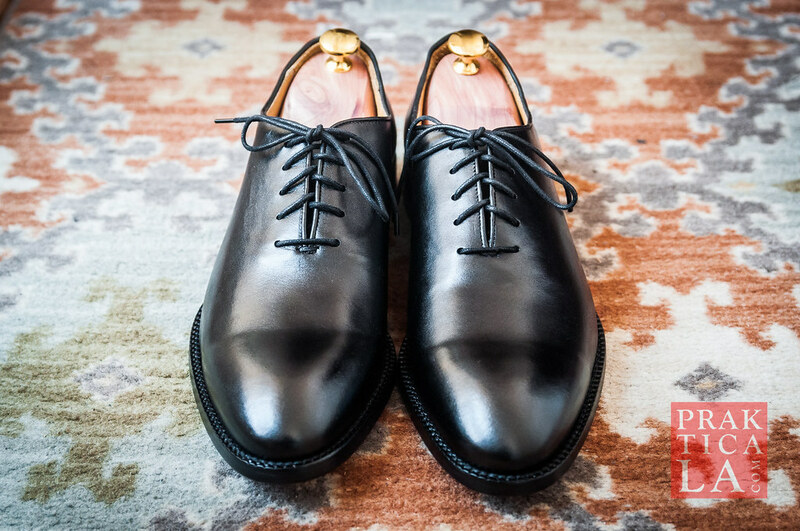 The Valencia wholecut oxfords feature a last that is virtually identical to the Dean oxfords I reviewed. 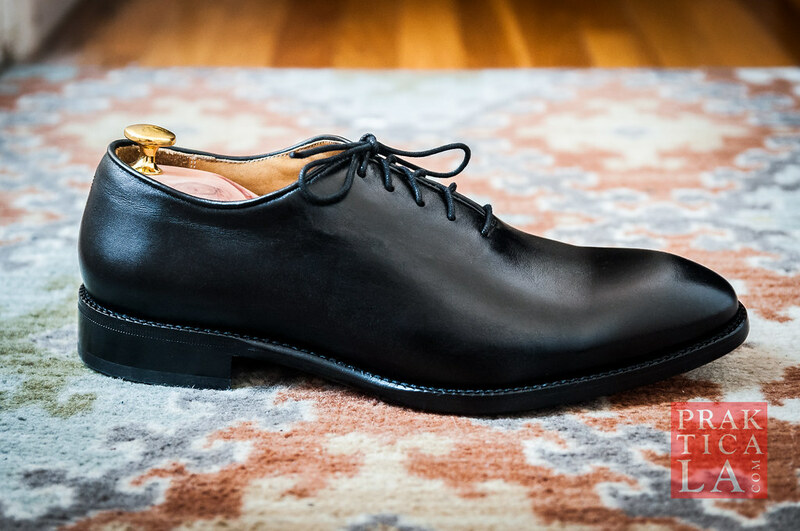 It’s narrower and more tapered than Beckett Simonon’s original oxford shoes. They seem to have settled on the current sizing, coming in at about a half-size smaller than your typical sneaker size (or a half-size larger than your typical dress shoe size). The rest of the shoe remains consistent with the other products I’ve gotten from Beckett Simonon over the last few years. They’re continuing their trend of full-grain leather uppers, leather lining and outsole, and Blake-stitched construction. No complaints here. All my Beckett Simonon shoes still hold up great, so I don’t expect the Valencia oxfords to be any different. The fact that these are cut from a single piece of leather may escape notice at first. But a closer inspection reveals how unique and refined the one-piece construction is. 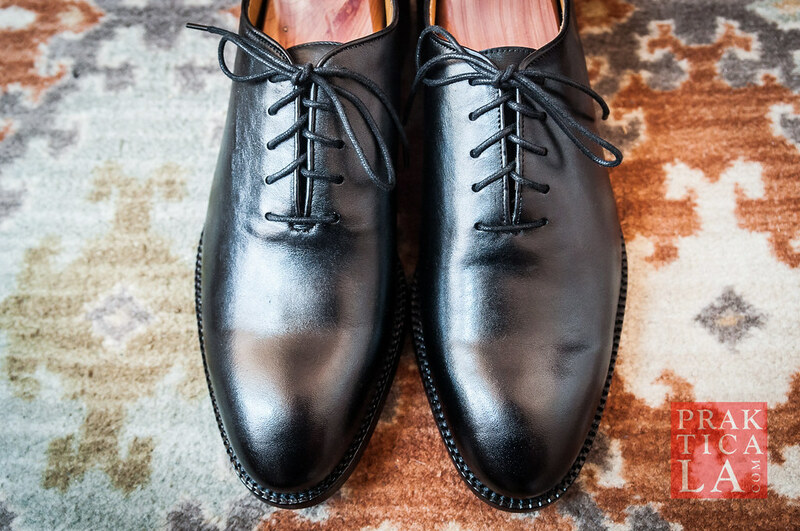 The Valencia oxfords come in a swath of colors, so you’ll definitely be able to find one that fits your style. That said, these probably aren’t everyday dress shoes; they’re too fancy (even in a lighter color, like tan) and would get scuffed up from daily wear. For special events, though (weddings, dinner parties, etc), they will make you look totally pimp. Or like James Bond, which is kind of the same thing. PROS: Wholecut construction looks totally dope. Beckett Simonon has maintained a high and consistent level of quality over the last few shoes they’ve sent. CONS: Sizing, while consistent within its own brand for about a year now, still tends to run small compared to other dress shoes. I recommend dropping a half-size from your typical sneaker size when ordering. As the premium-online-dress-shoe market grows ever larger, consumers have more and more options to choose from. Beckett Simonon was one of the first on the scene, way back when, and they’re still providing excellent value. Most pairs hover under $200, even as competitors slowly increase their prices. If you’ve already acquired your essential black cap-toe oxfords and brown brogues, the Valencia wholecuts can give you a different, polished look that sets you apart from the crowd. Get a badass color like bordeaux if you really want to make the ladies’ heads spin. 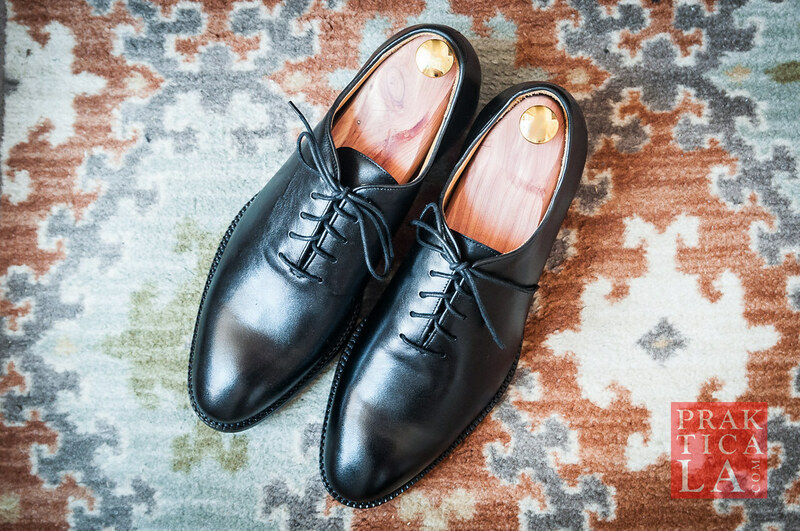 You can find the Valencia wholecut oxfords in tan, black, bordeaux, or brown. 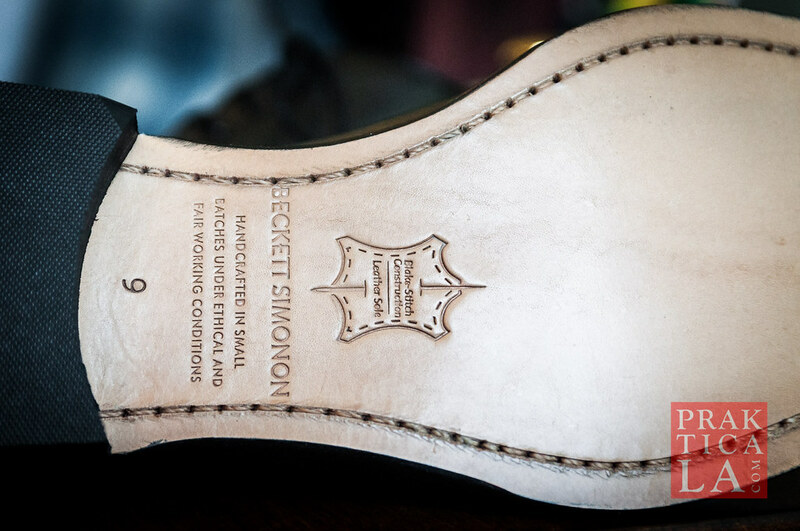 You can purchase Beckett Simonon’s shoe trees here. Also, use our exclusive promo code PRAKTICALA20 to take 20% off your order! 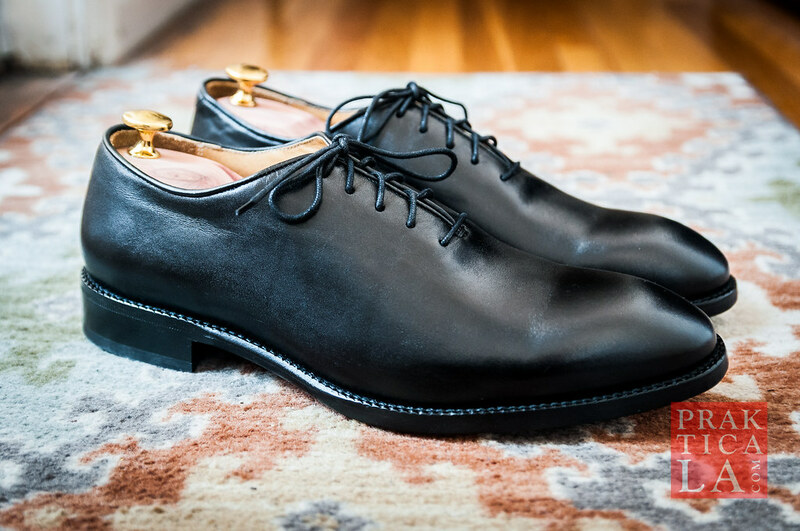 What do you think of our Beckett Simonon Valencia wholecut oxfords review? Leave a comment below!